The Alumni Blog team interviewed three alumni working with American Express to give our final years a quick look into Analytics as a non core option. This article hopes to prove insightful on Placement Interviews, Skill Sets and Expectations. Nitish: Core? I wasn’t interested. I was interested in consult and banking. Ashwin: I didn’t really want core or consult. Banking and Analytics were my choices. Anurag: I wanted non-core, but didn’t make first day. Sat for second day non-core, and got AmEx. Shortlist your requirements, and don’t shoot aimlessly at everything. Prepare according to your choice of career. Apply to companies that you will therefore be interested working with and exploring profiles in. Don’t take rejection by an employer personally or start thinking that something is really wrong with you. For each company that comes to hire, it is indeed really hard for them to judge a candidate within 15 minutes. So how you can connect to them really matters. I would like to tell the students not to take everything too seriously. Be cool and calm. Be confident, and don’t worry at all if you don’t get it, just move on to the next one! Nitish: I developed an interest in statistics being here and doing some courses. I was also Facilities and Requirements Core of Shaastra 2010, and SAC Speaker for IIT Madras in 2011-2012, showcasing my positions of responsibility. Ashwin: IIT Madras gives you the confidence to pick up anything and the ability to learn new things on your own. They also offer you a platform to develop and showcase leadership and responsibility, which I utilised as Shaastra 2010 QMS Core. Anurag: I learnt best to solve problems with basic information. In addition, I learnt to gain organisational experience and work well under pressure being Cultural Affairs Secretary (Arts). When you go non-core, you need to keep in mind that you will be doing things not related to previous course material. IIT Madras helps you cope with these situations and gives you the necessary confidence to pick up new skills in short periods of time. Explore the variety of co curricular and extracurricular activities the environment offers you, but at the same time, maintain your CG to stay in the safe zone. The most important advantage of being from IITM is the fact that you can create a network and forward your resume to an alumnus you know from this network in the department you wish to work with. Building a portal of contacts is always helpful when references are required within these companies. Nitish: My job profile is mainly related to credit risk management, and I work in the analytical counselling and business insights unit. Ashwin: My role in American Express is business insights, which is a consulting team inside American Express. Anurag: I do a healthy mix of data crunching, math aptitude and business sense. It makes more sense to present the business understanding of a situation once the numbers are crunched. 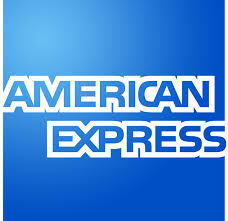 American Express has these major profiles of Risk and Information Management to reduce fraud and credit bust outs, and that of business insights which includes coming up with solutions for various clients especially towards customer acquisition, and adding value to merchandise. This includes working with statistics and big data. Coding in Python could come in handy considering the Big Data surge. The profiles require different skill sets. Ashwin: Know your case studies. Know the standard set of puzzles, thirty of them, and understand their variations. Maintain a good CG. Prepare puzzles, case studies and project yourself well in your interview. How you connect with HR can effectively make or break your chances. At the end of it, the interviewer should remember you as the person they would like to work with. One director makes the call and what impresses him is what they look for. Tell them more about yourself, your strengths. But people often end up overdoing this. So the key is not to over-exaggerate, and be true and simple. P.S. : Final years who may have queries regarding job profiles and placement fundaes with respect to Analytics and especially to American Express may comment on this post or contact directly the blog team to reach the alumni mentioned above. The team wishes to create an IIT Madras Network to enhance the placement process and experience for our final years. They are also requested to keep in mind that the above are merely guidelines that pass-outs wish to pass on and are not rigid or sure-shot ways to make it through interviews. The Blog Team wishes all final years sitting for placements all the very best of luck in their endeavours!